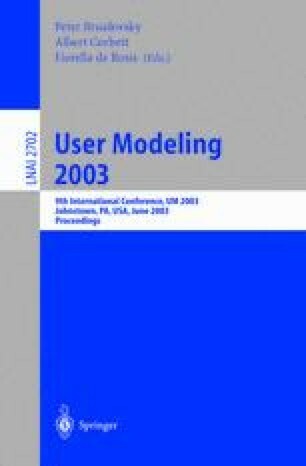 This paper describes our efforts at constructing a fine-grained student model in Project LISTEN’s intelligent tutor for reading. Reading is different from most domains that have been studied in the intelligent tutoring community, and presents unique challenges. Constructing a model of the user from voice input and mouse clicks is difficult, as is constructing a model when there is not a well-defined domain model. We use a database describing student interactions with our tutor to train a classifier that predicts whether students will click on a particular word for help with 83.2% accuracy. We have augmented the classifier with features describing properties of the word’s individual graphemes, and discuss how such knowledge can be used to assess student skills that cannot be directly measured.